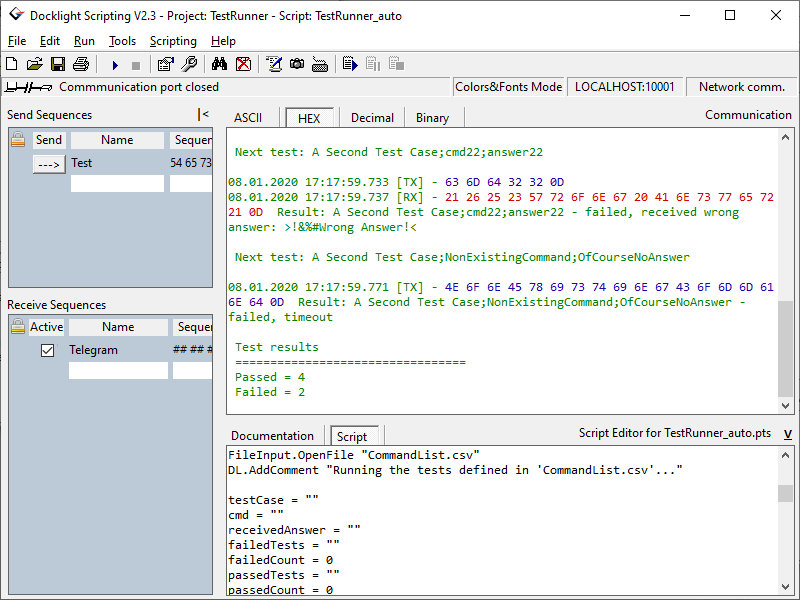 Docklight Scripting uses the VBScript engine, allowing you to write your tests in a simple and well-known script language. Docklight's basic functions and features are made available through a small and convenient set of script commands. The sample applications and scripts provided make getting started easy, and allow you to become productive immediately. Smart SWF to AVI Converter Pro 12.3: Batch conversion from SWF to AVI with user-friendly interface. ArtIcons 5.49: You can create, edit, import, export and find icons and manage icon libraries Abex PDF to Word Converter 3.9: Batch Convert PDF to MS Word DOC, DOCX, DOCM, RTF formats. IconLover 5.45: Icon editor to make icons, manage icon collections. Made with love!